As one of the prime cuts of meat, brisket requires the most careful of preparation. You may devote hours to cooking it to its ideal color and flavor. This same care and attention must be paid as well when you want to warm up brisket leftovers. If you don't follow the steps carefully, you can easily end up with hot outside and ice cold inside heated meat. Rely on these simple methods for finding the best way to reheat brisket safely and effectively. The dilemma of deciding how to reheat brisket centers primarily on retaining the precious moisture found in the leftovers. The initial cooking process itself denatures the proteins in the meat. This denaturing compromises the proteins' ability to retain water. 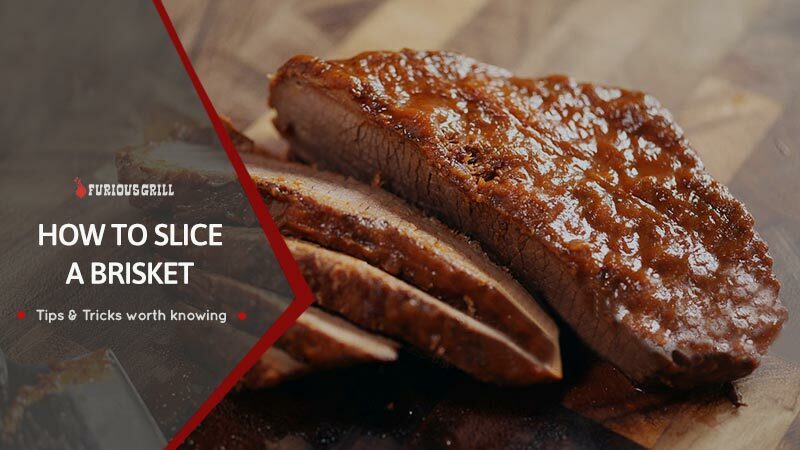 It also makes reheating the brisket more challenging simply because you do not want the already denatured meat to lose any additional moisture. You must retain the water left in the meat if you want the brisket to be flavorful and tender enough to serve. The best way to reheat brisket without compromising the water in the leftovers involves steaming it. To steam brisket, simply place it in a vegetable steamer or in a metal strainer placed above a pot of boiling water. This steaming process slowly heats up the brisket without taking away any of its retained juices. The steam also adds vital moisture to the meat, enhancing its flavor and appearance. If you do not have a vegetable steamer or metal strainer, you can mimic the steaming process by boiling the leftover brisket. To boil the leftovers, simply seal them in a plastic food baggie and place them in boiling water. Boil the baggie until the leftovers reach an internal temperature of 165 degrees Fahrenheit. Slice and serve the meat immediately to get the best flavor and texture out of the reheated brisket. Reheating leftover food by boiling it is very similar to the sous vide method, which only a few people know about. You can read this article for more information about this method. Barbecue enthusiasts often adhere to the “low and slow” method of preparing prime cuts like brisket. This method also can be ideal for reheating leftovers that will be both flavorful and tender. While steaming and boiling allow you to reheat brisket rather quickly, they may not be the best for getting a consistent and even temperature. Reheating the meat in the oven, however, can give you this consistency as well as the tenderness and flavor that you want in the leftovers. As mentioned earlier, it is crucial that you retain the moisture left in the brisket. Before you store the leftovers in the fridge or freezer, you should drain and store the pan drippings in a separate container. After the drippings have congealed, you should then strain off the top layer of fat. You may then add the strained pan drippings to the brisket before you put it in the oven to reheat. To ensure consistent reheating, spread the meat evenly in a baking pan. Pour the drippings over the meat before covering the pan with aluminum foil. Cook the meat in a 325°F preheated oven until the brisket reaches an internal temperature of 165 degrees. Slice and serve immediately for the most flavorful results. Note: The 165°F temperature is the recommended internal temperature level for a brisket. If you want, you can cook a bit more than that, based on your preferences. Oven reheating can be particularly ideal for leftover brisket that has been frozen. It allows the meat to heat back up slowly yet progressively without drying out the proteins. Also, the oven heating may be very efficient for those who want to reheat a lot of brisket at the same time. Like an oven, a crock pot allows for even and consistent reheating of leftovers. Given the size of many crock pots, you may have to slice up your leftovers before placing them in the ceramic container. This reduction of the size of the leftovers actually works to your advantage when you want to reheat them faster and safer than you might be able to in the oven. Also like heating up the brisket in the oven, you should use any retained panned drippings to enhance the moisture and flavor. A crock pot can be the ideal method when you want full control over the temperature and speed at which the leftovers are reheated. Crock pots that come with lockable lids also improve the reheating process because they prevent precious moisture from escaping the brisket. The final option you have for reheating leftover brisket involves using your microwave. If you choose this reheating method, you must take every precaution to ensure the meat's integrity and flavor. The microwave can heat up the leftovers quickly. However, you may be left with meat that is dried out, discolored, and entirely unsuitable for serving to guests. Still, it is possible to use the microwave effectively to reheat leftover brisket. Before you place to reheat it, you may want to slice it up to ensure its even temperature. You may also need to slice the leftovers simply to ensure they can fit inside of the microwave oven. Again, It is also crucial that you utilize the pan drippings from the initial preparation of the meat. Without them, your reheated brisket will turn out tough without a consistency more like jerky than brisket. You can keep the pan drippings as well as any moisture left in the brisket intact by covering the container with plastic film wrap. The covering allows the brisket and drippings to reheat without water being lost through evaporation. It also allows the meat to reabsorb the drippings, which could help its flavor and texture. As with all methods for reheating brisket, you should microwave your leftovers until they reach an internal temperature of 165 degrees. If they fail to reach that temperature, they could cause you and anyone else who eats them to contract food poisoning. You have numerous options for how to reheat brisket in a way that is safe, effective, and practical. Regardless of the method you choose, you are encouraged to maximize the liquids left over in the meat and prevent the brisket from losing moisture during the reheating process. You must remember to reheat brisket leftovers to 165°F to prevent food poisoning. As for picking the best way to reheat brisket out of these five recommended strategies, we would recommend the oven. By using the oven, you can reheat the meat slowly but at an even temperature outside and inside and also reheat a large amount of brisket at the same time, making it ideal when you have a lot of guests or a large family.